Cazenovia College has been named one of "America’s Best Colleges" for fifteen consecutive years and a "Best Value" in the North by U.S. News & World Report. 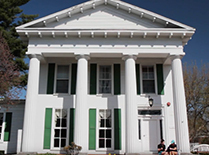 Founded in 1824, Cazenovia College is the eighth oldest private, independent college in New York State and the 28th oldest independent college/university in the United States. 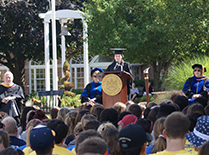 Access general information about Cazenovia College – named one of America's Best Colleges by U.S. News & World Report, and a nationally selected College of Distinction. Prepare yourself to go further than you ever dreamed of going. Experience Cazenovia College. Embracing student success as its primary mission, Cazenovia comprises a diverse, yet close-knit residential community that creates educational experiences that are individualized for students, matching skill sets with available academic programs.